Check out whats new in this months newsletter. Fuel up for Summer ? We believe we have the cheapest on water fuel prices in South East Qld. Fuel up with your choice of Diesel and Premium Unleaded. We are Open 7 Days. Unleaded 95ron. Diesel fuel also available with high flow & slow flow pumps. off the pump prices from the 1st Dec 2016 until the 18th Dec 2016. Keep reading our newsletter and posts on Facebook for future promotions and discounts. The Marina is within walking distance of Cleveland Railway Station, Buses, Cleveland Main Street precinct, Supermarkets, Alfresco dining, bars and cafes overlooking the Marina. 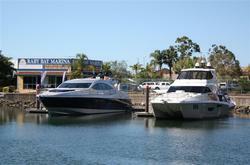 A lease can be purchased for marina berths at Raby Bay Marina. These leases provide tenure for your vessel as rental demands increase. Leases currently have an expiry date in late 2030. To find out more about purchasing a marina berth lease, please give us a call. The weather has warmed up. The Sand crabs are on there way into the bay. There have been good catches of muddies in the estuaries. The Mackeral are rolling in with catches of schoolies near the four beacons and in the rainbow. The Spotties should be here soon, keep an eye out for birds or signs of bait balls. Float out a pilly with no weight on a set of gangs or try casting and retrieve as fast as you can with a metal slug. Remember to try and match the hatch. It is also a good time of year to try your hand at catching summer whiting over a pound. Check out the broadwater or down the coomera around the yabby banks. Mulloway will be holding up on structure this time of year also, check out the West Peel Artificial, You may also find a big Snapper drifiting through the balls. Drop into the office and say hello, we are all to happy to share our tips and experiences. Ice, Drinks, Food, Ice cream, Coffee ..... Anyone????? Going out on the Bay over the Christmas period? Here is a few places you can access supplies, food, drink, coffee, ice, ice creams, cafes, restaurants and bottlo's in a few out of the way places. While everyone seems to know that Raby Bay Marina has excellent access to supermarkets, restaurants, hotels and bars, as does Manly and Scarborough Boat Harbours, we are often asked for details of alternatives away from these major boating centres. So here are a few other places you may not know about. The ones underlined in blue have direct links to online information and websites. We’ll work from the northern end of the bay south to Couran Cove on South Stradbroke. In the far north of Moreton Bay, for those visiting Moreton, there’s Bulwer Wrecks and township. Township is perhaps an overstatement, its a store and a few houses. While you can’t see much from the shore, just a 100m walk is the Convenience store /cafe called Castaways. It’s generally open 7 days and has the basics like bread and milk, ice, some stores and meals. Tangalooma a bit further south has limited access to people visiting these days, and you need to book ahead to access bars, dining and retail facilities. To do so, see here. If you don’t book ahead you will not get in. At the southern end of Moreton at Kooringal in Days Gutter you’ll find The Gutter Bar and convenience store. This has meals, drinks and fresh seafood and in the store, milk, bread, ice and general supplies. It’s a nice place for a bowl of fresh prawns off local trawlers and a cold one. On the other side of the bay at Bribie there is a new Pub with a floating pontoon at Sandstone Point This has a range of cafe and dining options including an oyster shed plus live entertainment. On the Bribie side of the passage a reasonable anchorage can be found near the entrance to the creek about 200m south of the bridge. There is good landing for a tender and straight across the road there is an upstairs bar with views of the passage and your boat. It has cold drinks, wine and excellent meals. We recently had a terrific breakfast here at the Kai Cafe at 155 Welsby Ave (The Esplanade). At the southern end of the passage is a public jetty with pontoon adjacent a cafe, gelato/ice cream, fresh seafood, cafes and takeaways and a Bowls Club across the way. On Stradbroke, Amity Point has a General Store with the basics in Ballow Street, not far from the swimming enclosure. Seashells Cafe is nearby and has a range of snacks meals, coffee and drinks. Dunwich is the main town centre for North Stradbroke. At mid tides you can anchor in a small bay north of the ramp and tender ashore. A short walk across the Sports oval and you will find a line of stores and cafes. Nice place for a dip too at high tide. Dunwich has a larger Foodworks Supermarket, as well as takeaway food cafe and newsagency. The nearby pub has bottlo and bistro. The Straddie Sharks League Club has bar and meals and is located in the grounds adjacent to the shore. Skip's Snacks and CJ’s Pizzas are across the road as is the Bakery. Dunwich has a small retail area, Medical, chemist, bakery, cafe, bottlo, supermarket, newsagents and Aboriginal artifacts store. Dunwich also has a great museum depicting many and varied historical points of interest, including photos and artifacts. One of the most interesting areas of Dunwich is the cemetery (listed by the National Trust) which has graves which date from as early as 1847. It was the burial site for the 42 typhus victims who arrived upon the “Emigrant” in 1849 and were quarantined on the Straddy. The graves include both those of Dr George Mitchell and Dr David Bellow, the ship's Doctor and the local surgeon. A medical centre on Wickham Terrace is now named after the latter. The cemetery is now one of the few reminders of the early settlement which was established at Dunwich. It is adjacent/across the road from the Little Ship Club located on the northern side of Dunwich. It’s worth a stroll to see a fascinating part of Queensland’s Heritage. The Little Ship Club has a licensed bistro, pontoons for members (membership is cheap. ), bar, outside dining and Barbeque area. They also have ice creams and drinks. A great spot for sunset watching over a cold drink. The Medical Centre is at Oxley Parade: Phone 34099059. That’s only 150m north of the sports field along the Esplanade (Oxley Parade) Dunwich also has an Ambulance service: Phone 3409 9333 and Police Station: Phone 34096020. In the southern bay there are a few options that have residential development. Foodworks Macleay is at 121 High Central road with groceries, ice, cold drinks & ice creams and is about 500m walk from the terminal on the southern side. 100m closer is the Macleay Chemist for first aid supplies: Phone 34095187. The Blue Parrot Cafe also up the road from the southern terminal is a local legend with coffee, meals and it is licensed. Macleay Lawn Bowls Club at the northern end of Macleay (western side and sheltered in south easterlies) has lawn bowls, a bar, bistro and dining from Wednesday to Sunday. Also excellent sunset views across water. They have coffee, cold drinks, wine and good food. There is a convenience store also on Lamb, not far from the terminal. Karragarra has a nice beach and swimming enclosure on the north eastern corner but no stores at all. Russell has an IGA Supermarket in High Street just a couple of hundred metres up the hill from the terminal at the northern end. On the way up the hill you’ll pass Auntie Alices Cafe which is a short stroll from the jetty and has great meals, coffee and good old fashioned milkshakes. Going further south? Couran Cove has casual and upmarket dining options and a marina to park your vessel half way down South Stradbroke. Fees for casual visitors in a boat over 8m LOA are $100 a day, but you get a VIP dining voucher which credits $40 against your tab. If you choose to stay there are discounted marina rates. Bookings are essential for casual marina use, see their website for details and reservations. If you are looking for something more casual, a burger, chips, drinks, coffee or ice creams, bait or ice, you can access all of these a short distance north of Couran Cove at Tipplers Kiosk. It will be crowded here over Christmas. There is also a new cafe, licensed, with great coffee, breakfast, lunch, dinner including the usual breakfast fare plus seafood and steaks, you can see details and menus online. Jacobs Well is often passed by vessels travelling to and from the Gold Coast via the western route, but it hides a range of easily accessible services. There’s a tavern with bistro and bottlo, bakery and tackle store all across the road. The pub has great meals. Just North of Jacobs Well is Calypso Bay Marina and real estate development. Most go past this as well but it is the access point for Harrigans Drift Inn Irish pub, which has great meals and weekend live entertainment. Only a mile or two north of Calypso Bay is Horizon Shores Marina, the cafe here has been recently renovated and now offers Espresso Coffee, cold drinks and a range of meals on the outdoor shaded terrace. At Cabbage Tree Point, Steiglitz, there is a small park adjacent the boat ramp and public toilets and a convenience store across the road with a good range of supplies, food and takeaways. On the mainland in Weinam Creek, Redland Bay within Pelican Slipways grounds on the southern side of the creek is a terrific cafe with a range of cakes and other treats and sensational views across the nearby bay. There is a mooring area immediately to the south of the entrance to the creek and the creek is accessible by tender. They also have a range of nautical treasures for sale. On Coochiemudlo, just a short hop from the wonders of Horseshoe Bay on Peel is the Red Rock Cafe with coffee and modern Australian cuisine. It’s across from the shore on the south eastern side. Nearby is the Coochiemudlo Kiosk, ideal for cakes, cold drinks, ice cream, general store type supplies, hotdogs, burgers and chips. It’s also on the SE corner and easily accessible. The area is a great anchorage in a NW-NE breeze but does have a fair bit of current on the outgoing tide. If you're thinking of selling, now is the perfect time to list it for sale. As we enter into spring, purchasers are now ready to secure a boat for summer. Good boats are getting hard to find which means its a good time to sell. If you are contemplating selling or perhaps not sure of the value of your boat given the changes in the market in recent years then give us a call for an appraisal or any advice on selling. We would be happy to do a "no cost" inspection and provide you with an estimate to value and sale. You can also call Allan or Gavin on 07 3821 4144 during office hours 7 days a week. then Forward to Friend below. One of the best we’ve seen. Great value & priced to sell. We are proud to be your local agent for Marine Cover. 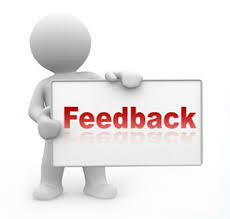 Please contact us for new policies, renewals, market appraisals for "Agreed Value" cover and assistance with surveys. To view our Policy click here.